The A&O Hamburg Reeperbahn opened in June 2009. In the building of the former Hotel Stern one can still sense the cult atmosphere of the 80s right in the middle of the district. 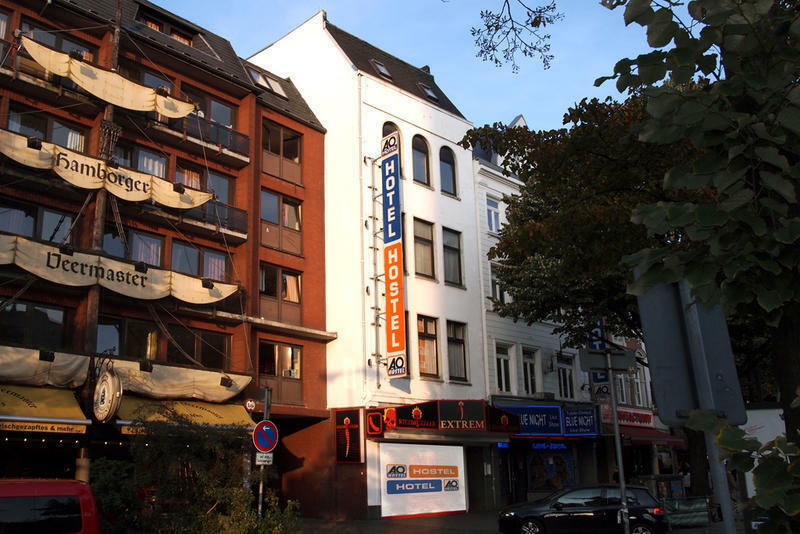 On the most sinful mile in all of Germany the Reeperbahn the hotel offers 308 rooms in close vicinity to all the hustle and bustle. You can't be any more central! 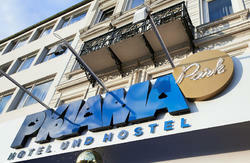 The A&O Hamburg Reeperbahn is in the best location in the middle of St. Pauli. 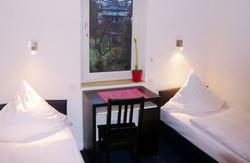 Right next to the hostel is an intra-city and underground train station and the trendy districts such as the Schanzenviertel, Altona and Hafencity. They can be easily reached by foot. The Central Station is just four intra-city train stops away. The character and authenticity of the building fit right into the district and makes it one of the most popular A&O's in Germany. The lively big city atmosphere and the entertainment in the district make this location distinctive. The central location of the A&O is ideal for night owls and partygoers. - For 5 per night, you are allowed to bring your dog around (only in double and single rooms). - Until two days prior to arrival before 6 o'clock pm (local time at hotel/hostel) free of charge. In case of cancellation after this period a cancellation fee of 100% of the first night will be charged. In a case of non-arrival 100% of booking costs will be charged. It's the same for short-term bookings, within two days before arrival. - Any discounts or special offers booked through online booking engines cannot be cancelled. For groups from 10 people we have special cancellation and payment conditions. Our reservation department will contact you!!! From the Station Reeperbahn you have to walk at the right side along the Reeperbahn for ca 150m. The A&O is on the left side. Take the S-Bahn S1 or S3 from the central station to the station Reeperbahn. Walk about 150m along the Reeperbahn, and you will find the A & O Hamburg Reeperbahn on the left side. Take the S-Bahn S1 direction Ohlsdorf / Wedel until Reeperbahn station and then follow the directions on foot. From A7: Leave the A7 at the exit HH-Othmarschen (if you come from the south take the right side of the 'Elbtunnel'). Then ahead the 'Beringstrae' until the end and turn left into the Julius-Leber-Str, later Max-Brauer-Allee. At the end of the Max-Brauer-Allee turn right. Turn left in the Knigstrae, which become the Reeperbahn. From A1: You drive from the A1 onto the A255 and cross the 'Elbbrcken'. Then you reach 'Billhorner-Brcken-Strae'. Turn left into 'Amsinckstrae' and drive through the 'Deichtortunnel' onto 'Willy-Brandt-Strae'. Following 'Willy-Brandt-Strae', later 'Ludwig-Erhardt-Strae. You will directly get to 'Reeperbahn', where we will warmly welcome you. From A24: Take the A24 up to the end in the direction HH-Jenfeld. In the roundabout Horner Kreisel turn off at the Sievekingsallee, later Brgerweide. Use the direction Flensburg. Turn right into the Spaldingstrae, later Willy-Brand-Strae and Ludwig-Erhardt-Strae. You will directly get to 'Reeperbahn', where we will warmly welcome you.